For the fifth year in a row, Perfect Memory is attending the International Broadcasting Convention. 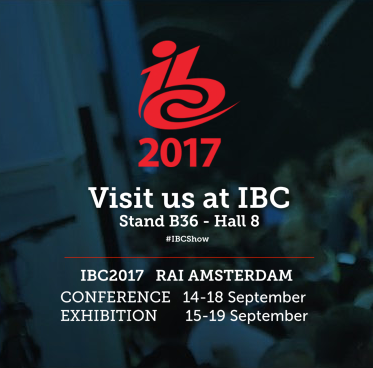 The IBC exhibition of Amsterdam is the #1 event for companies involved in Content Creation & Management. Perfect Memory hangs its hat in Amsterdam for a few days to unveil its latest product : Trouvé™ ! This cutting-edge Discover ‘n Search plug-in combines the depth of semantic technologies with the user-friendliness of top-rated Apps. Register now (contact@perfect-memory.com) for a personal demo of our Smart MAM at our booth : Hall 8 B36. The show takes places at the RAI Amsterdam from the 15th to the 19th September.